But "Iron Man" did really well, too. 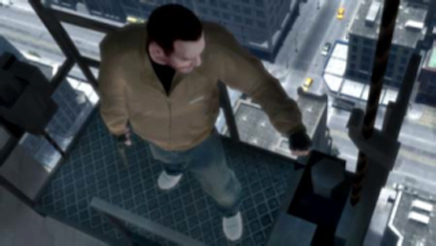 Take-Two Interactive, the publishers of "Grand Theft Auto IV," announced today that sales of the game topped $500 million in the first week, more than what many analysts had expected. On its first day on the shelves -- April 29 -- 3.6 million copies were purchased, a retail value of $310 million. The huge take boosts Take-Two's position in its wrangling with Electronic Arts, the video game behemoth that's put forth a takeover bid for the "GTA" publisher. But there's another stat worth noting -- "Iron Man" took in more than $100 million at the box office over the weekend. There'd been some speculation that "GTA" would cause young men to stay indoors this week, lowering the take at the cinema. As Ars Technica notes, that didn't quite happen. Looks like movies and games can coexist.